I have always been a fan of Nestle products. When I was a kid, delicious PX (post-exchange) chocolates were made by Nestle. My all-time Nestle chocolate is Butterfinger! I just can't seem to get enough of this delicious peanut/chocolate candy bar. I used to frequent the PX store at the corner of C.M. Recto and Ylaya Streets in Divisoria. At 30 centavos each back in the days, I was able to buy 3 bars of Butterfingers with a peso. Nestle, for me, is a trusted brand synonymous to quality, so when I received an invitation to attend a Nestle Wellness Event, I cannot (and will not) say no. On September 26, 2012, 6:00 pm, "motivated" by the thought of an interactive cooking demonstration using Nestle products and the promise of a "sumptuous" dinner, I dropped by the Julius Maggi Kitchen at the Nestle Center in Rockwell, Makati. The thrust of the cooking demo was to prepare great-tasting, nutritious and healthy meals and snacks for the family. I have always been a low-fat milk drinker and the only way I "do" my Nestle low-fat milk is to pour it in a tall glass and chug it down. Well, not anymore. Here's one way of enjoying Nestle low-fat milk, thanks to the cooking demo. Procedure: Combine all ingredients in a blender jar. Blend for 30 seconds or until mixture is fully incorporated. Serve immediately. This is good for 1-2 servings. The recipe is so simple, even Ethan could do it. The cooking demo was very enlightening. To cap the demo, a cooking book titled Celebrating 100 Years of Cooking with Nestle was given to each attendee. I have yet to sample the recipes but based on the pictures alone, they all look delicious! I am a passionate cook. This cookbook is precious! Of course there's the usual raffle in the event. I am not really keen on raffles per se since I never seem to win. 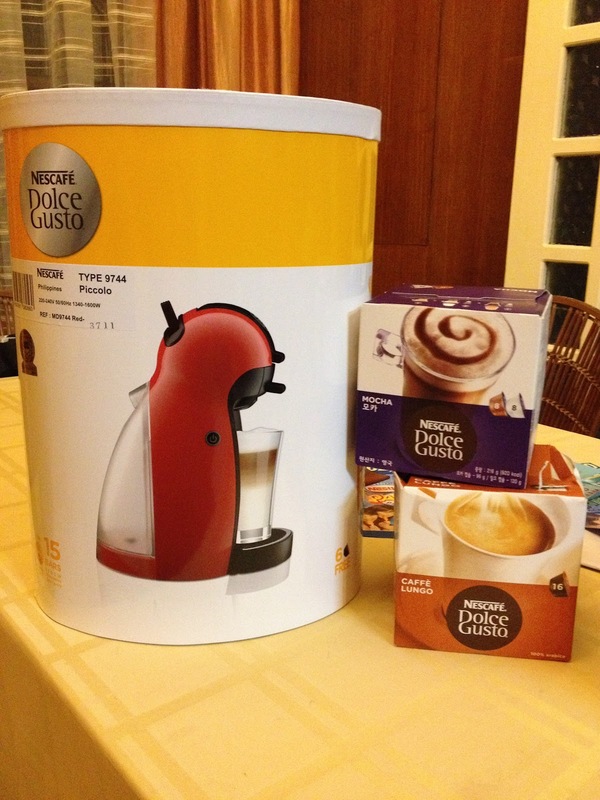 However, not this time as I won big time with this super duper Nescafe Dolce Gusto! We tried it the other day and wow! Even Ethan loved the mocca coffee but, I had to modify the cream content so as to lessen the percentage of coffee in the mix. 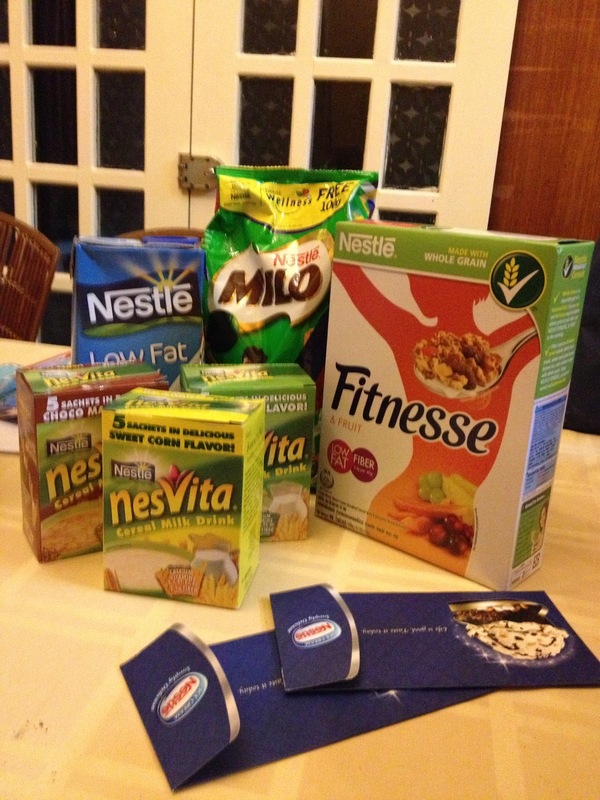 The Nestle Wellness Event was relevant. In this day and age, consumers must be aware that there are plenty of junk food out there that are detrimental to our health. Processed food with high salt, sugar and fat content could very well contribute (or cause) to high blood pressure, high cholesterol, high blood sugar and even obesity. Note that a lot of processed food are highly acidic which is not good for the body. 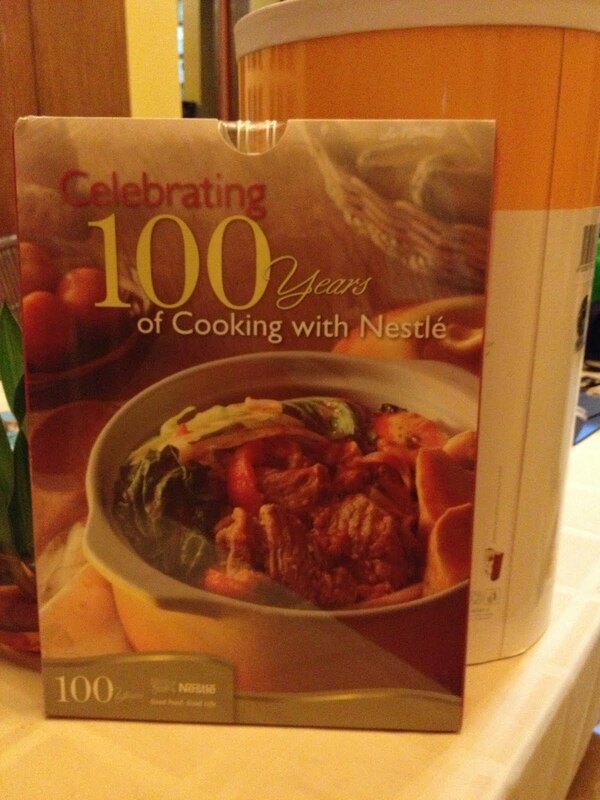 In essence, Nestle is an advocate of healthy, nutritious, delicious and affordable food. Yey! Go Nestle! and thank you for the 1,001 give-aways!